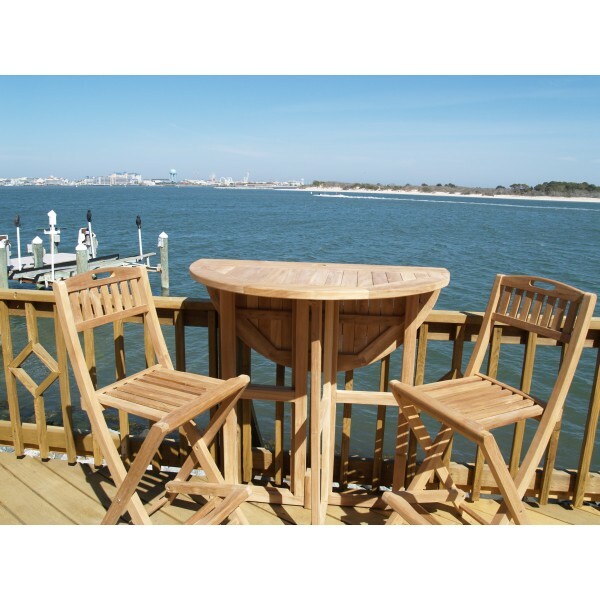 Windsor Teak Furniture outdoor patio quality teak furniture teak tables teak chairs teak benches and more! 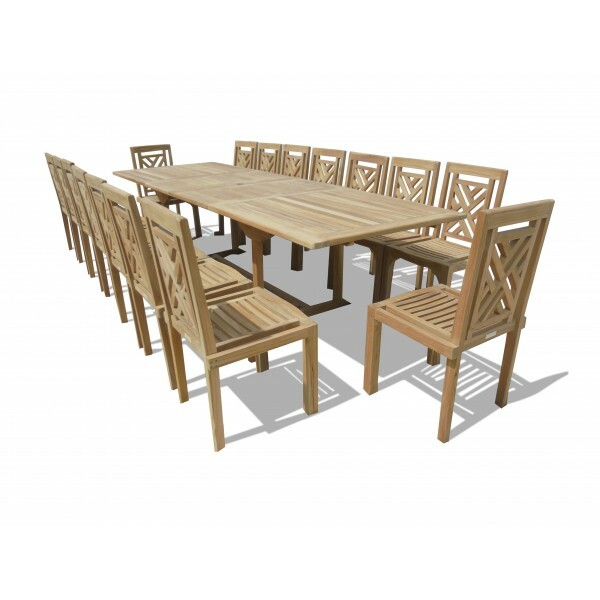 Visit our Teak Furniture Store and view our Furniture Showroom! Windsor's "Fenwick Island Lighthouse Commemorative" 2 Seater Bench depicts the famous lighthouse and the adjoining houses. 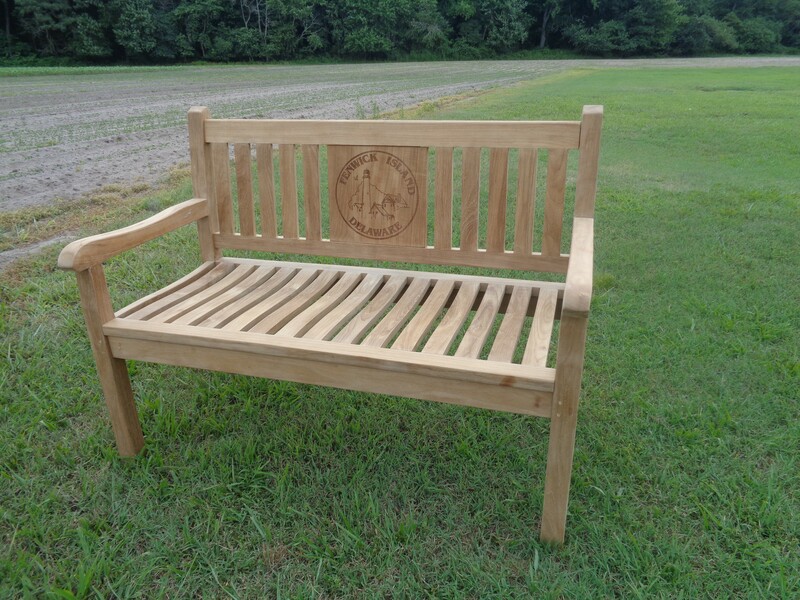 The design used was offered from the Town of Fenwick from their Logo for this commemorative bench. The Fenwick Island Lighthouse Commemorative Bench is the perfect unique addition to any home or business.The design is actually laser cut about an 1/8 inch into the wood and is lasting. The bench itself has a simple classic styling and made of Grade A Solid Teak. It's the ideal bench for use in at home, parks, malls, hotels, resorts, etc..., and comes with a gently contoured seat for added comfort. A quality bench built to use for decades. Some Assembly. Goes great with The Windsor Chair. Quality Teak Benches made to Last a Lifetime! * All Grade A Heirloom Quality Teak, harvested after 45-50 years from sustainable Teak plantations. Only the hearts of the trees are used in Grade A Teak furniture. * Superior craftsmanship with machine-made mortise and tendon joints that provides maximum dependability along with marine grade stainless steel hardware. * Finally, our teak is Kiln-Dried before construction to an optima moisture content of 8-12%. Not sun-dried or air-dried. This allows for the furniture to dry to the core and reduces cracking, splitting, and warping for decades. Sunbrella All of our cushions are made of Sunbrella Fabric, which is recognized the world over as the best outdoor fabric available...which is fade proof, stain-resistant, water-repellent, and mildew-resistant. Our Sunbrella Cushions are custom made and take 3-4 weeks to process. To Select Your Sunbrella Cushion.....go to CUSHIONS....Benches.....and select the color/pattern of your choice and add it to your Shopping Cart. 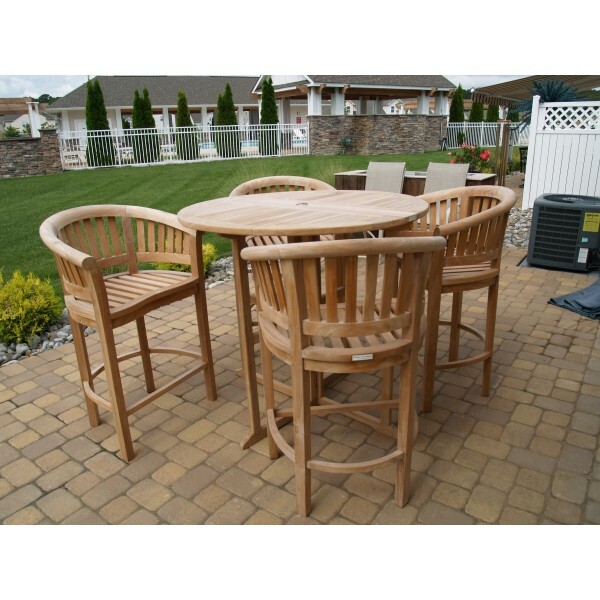 Windsor Teak Imports warrants to the original purchaser, that our teak furniture is free of defects in material and workmanship for a period of 5 years. If you find a defect in material or workmanship, we will, at our option, repair or replace the defective part for you. A picture of the product defect, either mailed or emailed to us, along with proof of purchase, will be required. We reserve the right to inspect the picture and furniture entirely, to determine if it is covered under our stated warranty. This warranty does not cover defects or damage caused by, but not limited to, improper assembly, alterations after purchase, misuse, negligence. Also not covered under warranty is normal wear and tear, which includes weathering or damage that was a direct affect of weather related conditions, as well as shipping/delivery and packaging of the item under warranty back to our warehouse for repair work or exchange is the customer's responsibility. 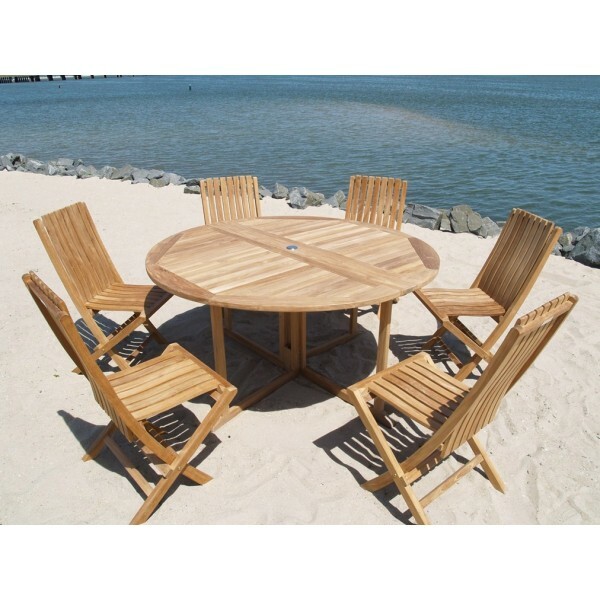 All Windsor Teak Imports furniture warranties are limited to 1 year of commercial use. You must be satisfied! Order any piece of our Unfinished teak furniture in complete confidence and live with it for 30 days in your home. If for any reason you are not 100% satisfied, return it in its original shipping carton/package/pallet for a prompt and full refund of purchase price. All Custom items.ie:....Cushions and Teak Furniture with an Optional Finish are non returnable. If you must return an item during the 30 Day Money Back Guarantee period and the product was on a Free Shipping Promotion, the cost of the returm shipping is to be paid by the customer. #1) If ordered items are in transit and you cancel your order for any reason, you will be responsible for the actual shipping cost to and from your location...A.) even if you bought on a Free Shipping Promotion..B) .or the freight companies have an unexpected delay in delivery. #2) If ordered items are in transit and you then ask us to ReDirect the shipment to another address ..and we're able to affect this request with the freight companies, there will be a Change of Address charge incurred from the freight company and you will be responsible for that added charge... even if you bought on a Free Shipping Promotion. We fully guarantee the safe arrival of your teak furniture to your home free of any shipping damages whatsoever. If my chance your teak furniture is damaged during shipment, all you have to do is call us immediately (toll free) upon inspection and we will take care of all the necessary arrangements with the freight company to pick up the damaged product in its original shipping carton. We will then have a replacement shipped to you freight prepaid so you will not be unduly charged any additional shipping charges. Your total and complete satisfaction is our only goal! 0% Interest If Paid In Full In 6 Months. To Apply for Financing on our website simply add your items to the shopping cart and checkout using the payment method "PayPal Credit"
This will then transfer your shopping cart and items over to the PayPal Credit financing section, at which time you'll be able to apply and be approved for financing immediately for the items in your Shopping Cart. Nassau 32" Round Drop Leaf Folding Bar Table ...use with 1 Leaf Up or 2.... Makes 2 different tables!